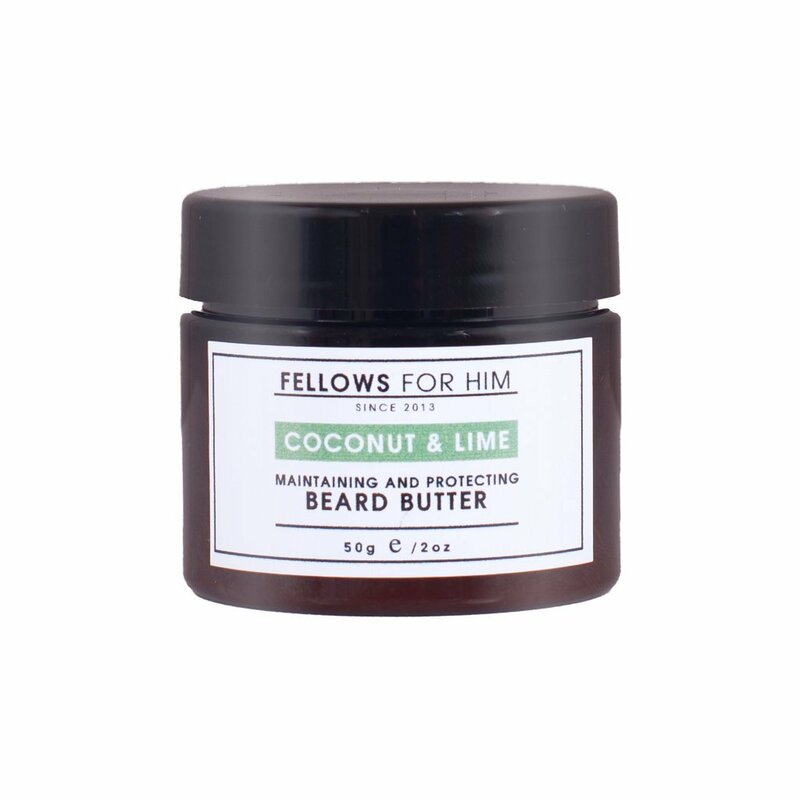 50g jar of Coconut &Lime Beard Butter. This fragrance combines a trickle of coconut essential oil with a subtle lime top note which gives this butter an exotic and clean aroma. Ingredients: Simmondsia Chinensis Seed Oil, Tocopherol, Cera Alba, Cera Flava, Butyrospermum Parkii, Argania Spinosa Kernel Oil, Elaeis Guineesis, Coco Nucifera, Theobroma Cacoa, Ricinus Communis Seed Oil, Citrus Aurantifolia Essential Oil, Cocos Nucifera Essential Oil.